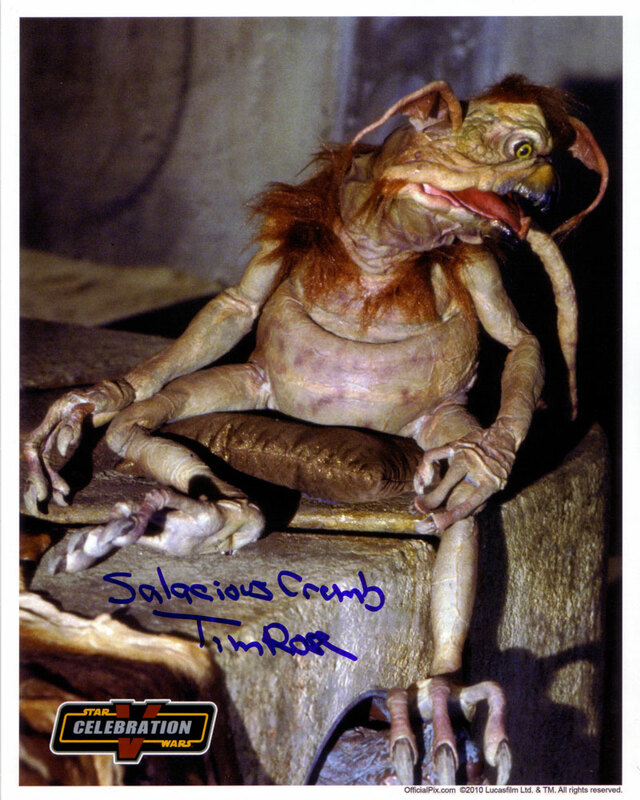 This is an autograph by Tim Rose, who was the puppeteer for Salacious Crumb in Return of the Jedi. He also did Sy Snootles and Admiral Ackbar. This is a bit of an unusual shot of Crumb. I kind of wish his head was turned toward the camera more, but you do get a nice close-up view of him and the throne that he’s sitting on.